"Extra effort for capacity planing"
We have a huge extra effort with the capacity planning. If i set a day in the calender as a holiday or non working day. The tool count and show the hours in the work flow. We do not work on a holiday and we have extra effort to set those hours on 0. We have a lot of Task in a project. If i forget to set the holidays to 0, our capacity planing is wrong. If we do not solve this problem this will be the show stoper for this tool in our project planning. "Wouldn't Recommend to Anyone You Care About"
Their own documentation specifically shows there was 3 uses during the free trial, then no use for two months until I noticed they were charging me $264.39 per month. I went online to try and cancel the account but in the end had to call in to cancel. I have never received any receipts from Project Manager for either of the transactions they processed through my credit card. I only found out after seeing it on my bill after 2 billings. I've only every received 1 email from project manager and that was on the days I signed up for the free trial and a reply to my support request cancelling the account. Hiding a clause in the fine print of an agreement the company knows full well most people don't read all the way through in any kind of thorough manner. They can full well see I have not used their product, outside of the free trial, yet they still feel the need to rip off their clients. To add to that they felt it was ok to charge me for 10 Users who, not one of them, ever used the system as stated on the evidence they provided my credit card company. I may have been playing around in their free trial period with several users but to charge me for 10 Users is ridiculous. I did try to have them understand my point of view and was replied with the standard "you should have read all of our fine print"
A grand total of $526.78 on something that I never used........guess ProjectManager.com needed my money more than I did. While it's intuitive and straightforward, I think wish the customization to the plans were a bit more robust in terms of formatting its presentation. Pressure-test this thoroughly. You don't want to experience any shortcomings to your process when you've migrated over. 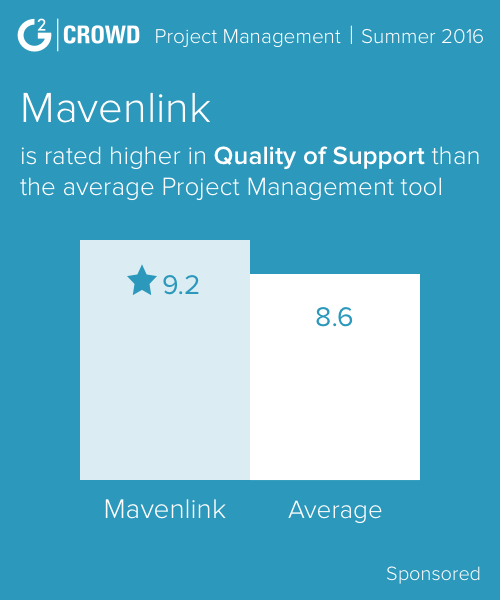 With that said, I think you'll be pleasantly surprise with how easy, intuitive, and robust ProjectManager.com is. One of the biggest challenges or barriers is getting cross-functional teams to fully commit and utilize this. So I like the fact that this PM tool mitigates barriers and makes accessibility across devices seamless. It is simple. user friendly product and does not require much training to use. There are some of the basic requirements that are missing. 1. Ability to provide different types of access to projects for the users with same role. eg: If there are 5 managers and we would like to provide Manager A with edit access and rest of the managers with view only access to a specific project, it is not possible. It is all access or no access on projects. 2. Ability to track the changes made by other users. Try exploring all the options with all of your projects. Do a trial run for a couple of months with real data and activities. Streamlines the project management activities and have a portfolio dashboard which helps the PMO. "PM is the best one I've tried for the money"
The monthly fee is low enough that even a public university can afford to use it, but it is robust enough to help you manage projects across teams in multiple departments as well as external agencies. The format is very customizable for use with widely varied projects from building apps to developing new clinical programs in a hospital. Reporting is comprehensive but you can't change the format - you have to clean up the report after you run it to make it look the way you want; that is you can't just ask for the data and then format it the way you want, you have to accept a formatted report and then revise it. It automates the management of milestones, due dates of deliverables and financial reporting as well as MS Project does for a lot less money. "Meets our needs, but nothing fancy"
The app is extremely easy to use and on-board. Entering projects is a breeze and seeing your projected tasks is simple on the dashboard. You can use deadlines and link tasks to project out. You can also check capacities of people. There is even a time sheet built in to track how long it takes so next year's plans are easier to predict. There are only a few features that I dislike. 1. When someone changes the project, you get a notification, but it isn't logged as to what the change was. 2. You can't customize alerts per user; it's per user group. 3. There is nothing fun about it, unlike Asana. If there is a feature you'd like to see, the Support team is willing to listen and make it happen. We did this with a few suggestions and they incorporated them into the software. We've been using ProjectManager.com for about a year. We use this service for enterprise-wide projects, while our team uses Asana for more simple shorter tasks and items. ProjectManager keeps the company organized and on-track when used properly. This means you need a Project Manager to be most effective. It takes quite a bit of time to build a well-thought out plan. "Great Easy-To-Use Project Management Software"
The interface is very simple to use. It takes next to no training. The only real work involved in implementing the software was internal processes. The only thing I don't like is that when tasks are linked and the first person finishes their task, it doesn't notify the next person that it is time to do their task. Get it! The software is great and the support is amazing! Our projects have been much more organized since using ProjectManager.com. The reports and dashboards make it easy to know exactly where we are in each project. "easy to use, great customer service and very useful !" price could be more affordable, could launch some offers for users. forecasting features could be built into the system and report generation could be improved. "Task management has never been this easy before." A bit expensive for small scale users, customer support does not work as promised. Try it has effective project manager. "Great tool for repeatable projects"
We used this as our implementation project tool for a small company that had 20 similar implementations occurring at once for the same type project. Too many alerts that needed to be managed by the individual user. Has a wide selection of features that are available to use. The phone app allows staff to mark their work complete and sends reminders as often as you set them. Has a lot of the same features that MS project has but for a fraction of the cost. Creating a template for an implementation project that was repeatable for many times throughout the month for different customers. 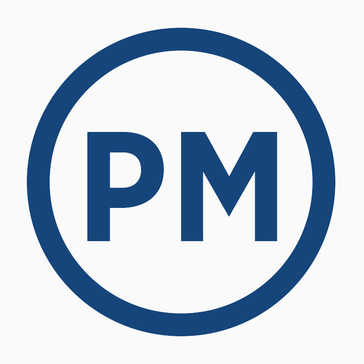 "ProjectManager.com a tool that project managers should be using"
ProjectManager.com allows you to update your project anywhere and at anytime. This tool enables you to share reports with your teammates online. ProjectManager.com is user-friendly and also very easy to use. Project planning with ProjectManager.com is difficult and it is always very slow. Every project manager should look for ProjectManager.com, so that his or her work can be more efficient. ProjectManager.com has really helped our organization to manage our projects easily. Monitoring and evaluation of projects is now very easy just because of this tool. ProjectManager is very easy to use with friendly web interface. For some reason mobile app didn`t work as expected but we tried it only once. It could be a user error. We are tracking live projects between multiple teams. ProjectManager helps us to get updates in a real time which helps to deliver projects faster and more accurate. "ProjectManager.com is the best software that allows you generates reports about projects progress"
Ease of use. There's also a great help section to get you started. I'd like it to integrate with MS Project. Helps with managing large and small projects to keep everyone on track. Very similar to MS Project, very flexible and robust app. "Does what is supposed to do and does it well"
I can't name something that stand out enough to say I don't like it. Use it. Works very well. I don’t typically dislike everything but I know our accounting department says sometimes it’s confusing. "Training video is really quality"
* We monitor all ProjectManager.com reviews to prevent fraudulent reviews and keep review quality high. We do not post reviews by company employees or direct competitors. Validated reviews require the user to submit a screenshot of the product containing their user ID, in order to verify a user is an actual user of the product. Hi there! Are you looking to implement a solution like ProjectManager.com?